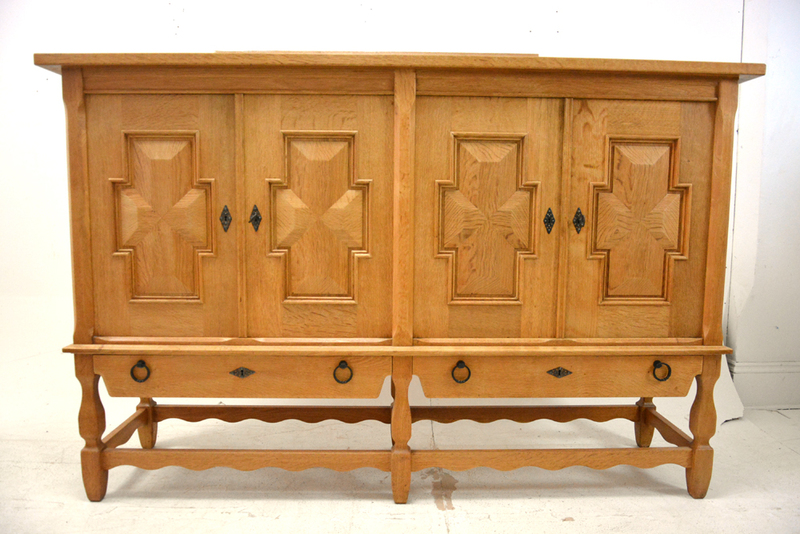 Vintage oak sideboard made in Denmark with 4 locking doors and 2 drawers. 1 key supplied. 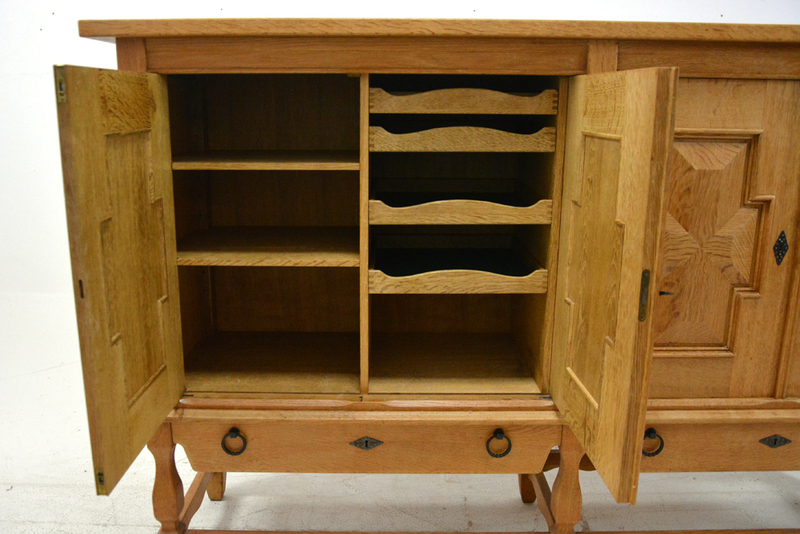 This lovely oak sideboard offers lots of space for storage behind its 4 doors. 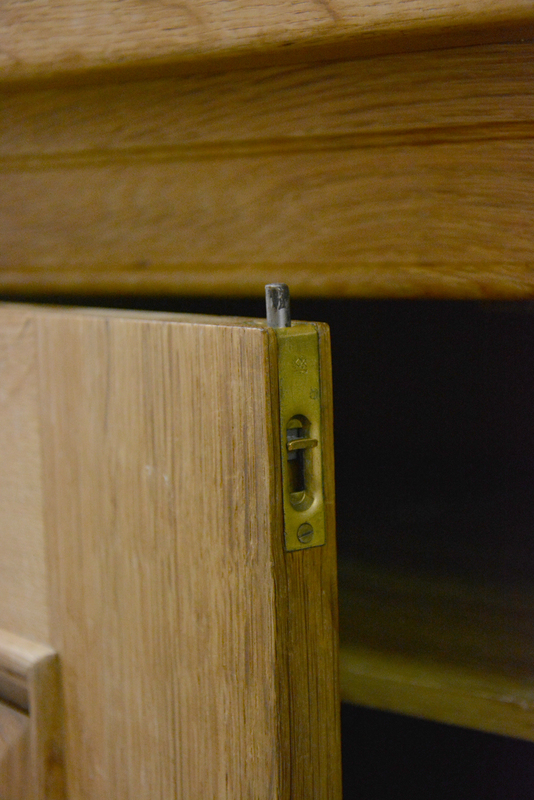 Behind the right doors are 2 adjustable shelves that span the interior and can be moved into pre-drilled holes. 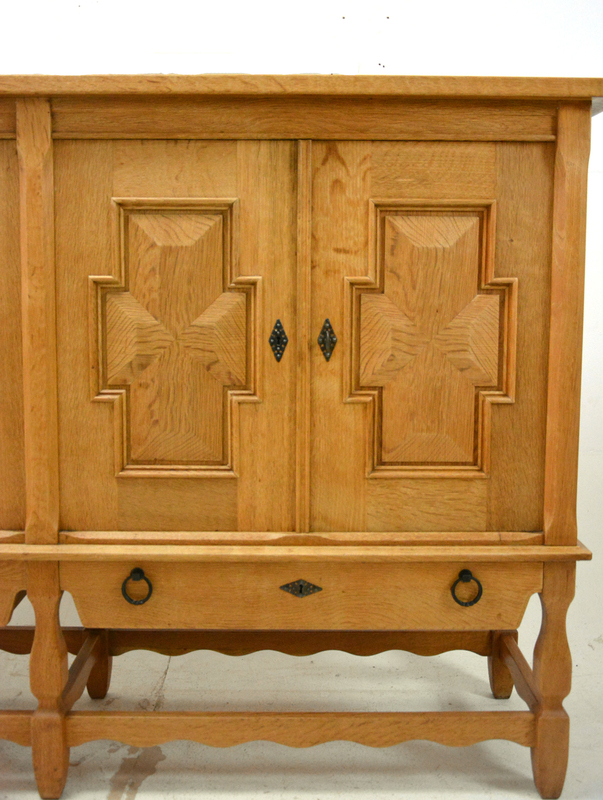 Behind the left doors are 2 adjustable shelves and 4 adjustable drawers. The right doors of each section lock by key while the left doors are locked by a sliding lock on the interior. 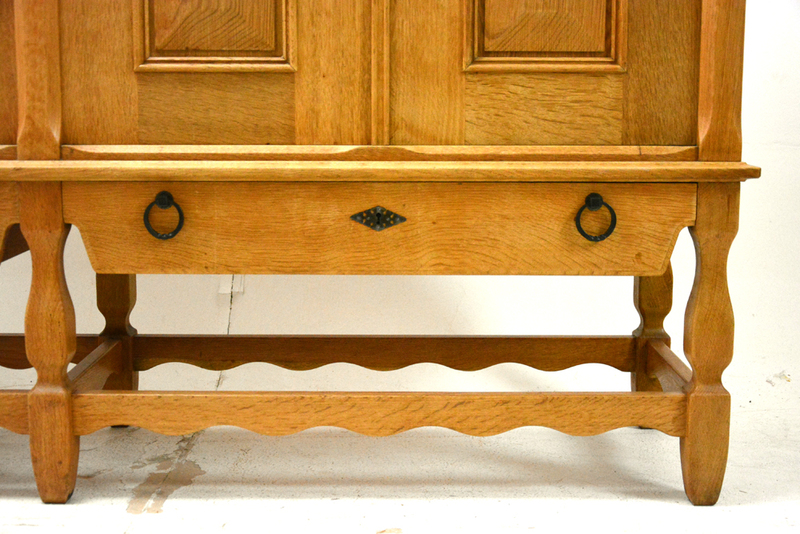 Beneath the main compartment are 2 large drawers with ring handles. 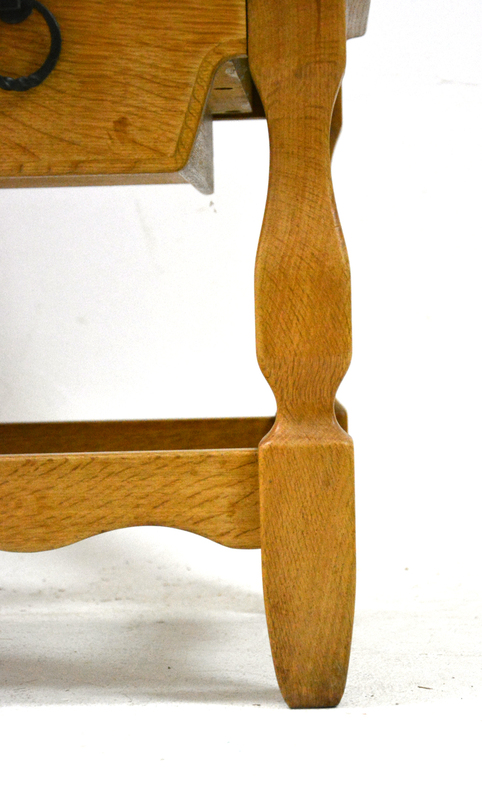 Both of these drawers also lock and are perfect for a multitude of uses. Condition. Very good with lovely oak grain. Minor signs of use and age are present. 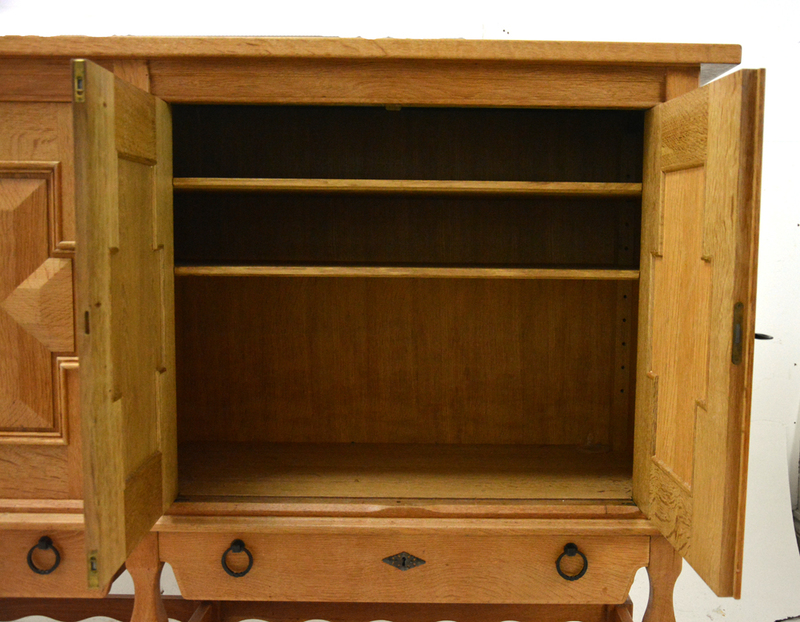 Doors and drawers open smoothly. 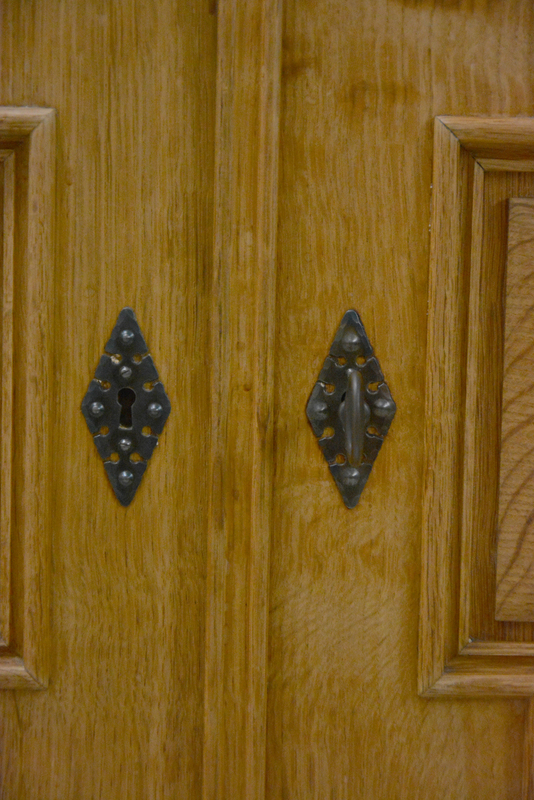 Locks function properly and operate with ease.